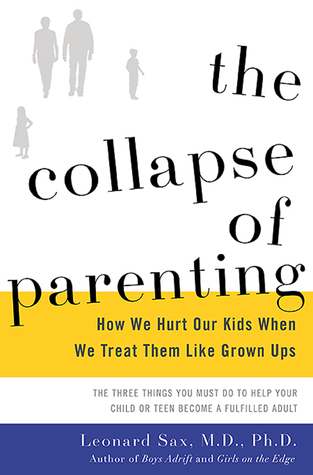 My book club chose a parenting book for the back-to-school season, Leonard Sax's excellent The Collapse of Parenting. You just know, with a dismal title like that, that there'll be some good anecdotes in there that make you feel like, possibly, you aren't in the bottom quartile of Worst Parents in the World. 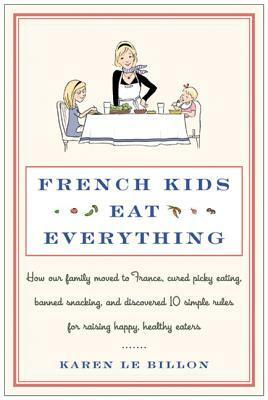 I was hoping reading this book would provide the Schadenfreude I used to experience when I turned to episodes of Supernanny when my kids were younger. It didn't disappoint. But Sax didn't just bemoan the failings of modern parenting. He also talked about what helped. And since this is a food-related blog, I'm zeroing in on the much-lauded family mealtime. Because family mealtime came in as Recommendation #2, just after (to paraphrase) Be the Boss of Them! Eat dinner with your kids. And no cell phones allowed, no TV in the background during dinner. According to Sax, eating meals together yields a host of benefits, regardless of background or income level. Kids who had more meals with parents were less likely to have "internalizing problems" such as feeling sad, anxious, or lonely. 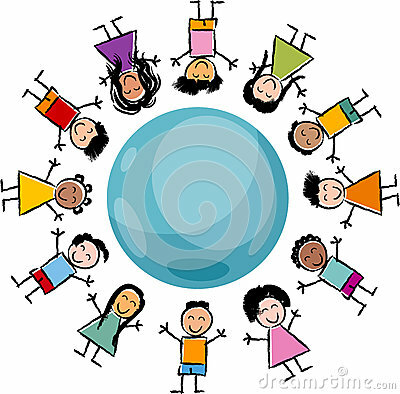 They were less likely to have "externalizing problems" such as fighting, skipping school, stealing, etc. They were more likely to help others and to report feeling satisfied with their own lives. at almost every step from zero up to 7 evening meals a week, each extra dinner a child had with a parent decreased the risk of both internalizing problems and externalizing problems and increased both prosocial behavior and the child's general satisfaction with life. See what magic food and community are? I think of my own family's dinner conversation last night. It mostly centered around how my 15YO son didn't like the soup I'd made, but it prompted him to come up with a couplet rhyming "cabbage" and "garbage." You know--art. Just to let me know how he felt about it. Magic. I post this recommendation now because all the kids' crazy after-school activities and school itself are now under way, which means the schedule goes out the window. How on earth, you ask me, can we all sit down to eat together? I guess I just have to throw up my hands and wait for internalized and externalized problems! Sax would say to limit the after-school activities, but even participation in one sport at the middle- or high-school level usually involves practices/games taking multiple nights per week. Then multiply that times your number of children, and you see how you'd basically have to put the kybosh on ALL sports or only allow one child to have a sporting life. Breakfasts and lunches can count! I try to plop myself down and eat my breakfast when the kids are eating. Or if they trail in and out at different times, I like everyone to have a little human contact. Divide-and-conquer will have to do. Can one parent be there, even if the kids have to eat at different times? Substitute quality time for quality time. The dinner hour might be chaos, but is there time in the afternoon for a shared snack or an errand together or even a game? Can there be a chunk of time set aside on the weekend for family time? Bribe them. I usually manage to get my youngest to come to the Market with me by promising her her choice of snack. Prioritize what family time remains. We don't do a lot of evening entertaining or being entertained because I'm trying to hoard what we still have. No need for the kids to go for sleepovers during the school year or dinners at someone else's house. Fall is always the worst season for family meals, but, because my oldest only does a fall sport, things calm down considerably by mid-November. Anything can be survived for a season. It's when it becomes year-round that you might have to call a time-out. Anything can happen at the Market. Last week, I fell in love. The problem is, the guy's a real jerk. Seriously--did you meet the Soda Jerk yet? Oh, my goodness. When the weather is warm and you crave something cool and flavorful and refreshing (and you've done the ice cream and pops for a few weeks running), come throw your money at the Soda Jerk. My faithful Market companion chose a Lemon Lavender soda, and I had a Blueberry Basil. They were eye-closing delicious! Not the same old flavors. Not the same old too-sweet, too-high-fructose-corn syrup. Nice and bubbly. These ones were made with local, organic ingredients where possible and real sugar. Now I love a Coca-Cola on a hot day, but you know how, if the Coke isn't well-iced and very cold, it's too sweet? (At least for me. It makes me grimace just thinking about it. Europe, I'm looking at you!) Well, you'd never have that problem with these sodas because they're just the right amount of sweetened, to let the quality ingredients and flavors shine through. The other thing you need to know about storebought soda is that "natural flavors" are, at bottom, no different from "artificial flavors." They are both just the results of a chemistry lab, except "natural flavors" begin with what once were items found in nature, before they were fiddled with. Want to know more about this? I refer you to my older post on Mark Schatzker's excellent book on fake flavor: The Dorito Effect. The Soda Jerk's offerings, however, are concocted from actual ingredients, concentrated into syrups. My blueberry-basil came from actual local blueberries, for instance. It's summer in a cup, people! And, speaking of cups, that soda cup and straw you're left with, after you've sucked every last drop of soda out and have even poured the ice into your water bottle, so as not to lose the faintest aftertaste of that heavenly flavor, that soda cup and straw and lid are fully compostable. Awesome. For those of us who like to make our own sodas, spritzers, and cocktails at home, the Soda Jerk sells a ginger syrup that he's had hot and cold with equally pleasing results. Yum. We're promised a rotation of soda flavors this season, depending on sales, and I'm eager to try them, but if you see the blueberry-basil on offer... oh my. Before my husband and I had kids, we paid a visit to my brother-in-law's young family. My sister-in-law had made lasagna for dinner, to our delight and the three-year-old's dismay. "Clean it, Daddy!" 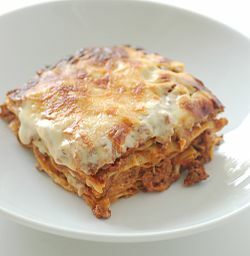 he pleaded, holding up a bite of lasagna noodle besmirched with meat sauce and cheese. With a roll of the eyes and suppressed sigh, his dad complied, scraping every bit of saucy goodness off the pasta. We still snicker about this incident, decades later (that same picky-eating nephew just got married a couple weeks ago), but picky eating is a commonplace, genuine source of frustration for families. While I've largely succeeded in finding a rotation of 7-10 meals that everyone in my house will choke down, over the years we've had to work our way around aversions to cheese, vegetables, lentils, fried rice, rice pilaf, and scrambled eggs, to name a few. 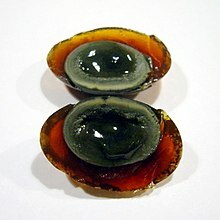 I totally blame my husband's side of the family, since the only things my sister and I balked at, growing up, were weirdo Chinese offerings like chicken feet at the dim sum place or "hundred-year-old" preserved eggs, just the typing of which still makes me want to gag. Unless you are or have one of the small percentage of folks with severe selective eating disorder (now called Avoidant/Restrictive Food Intake Disorder or ARFID), the aversions pass or at least become tolerable. In this past post I mentioned some techniques for dealing with picky eaters in your home, to which I would add signing your child up for the Market's POP Club. Introducing your kids to the Power of Produce by little taste samples and prizes and incentives might just expand those eating horizons! And even if you think you aren't a fan of some foods, I would suggest the same advice offered to parents of picky eaters: try it again and again, prepared different ways. 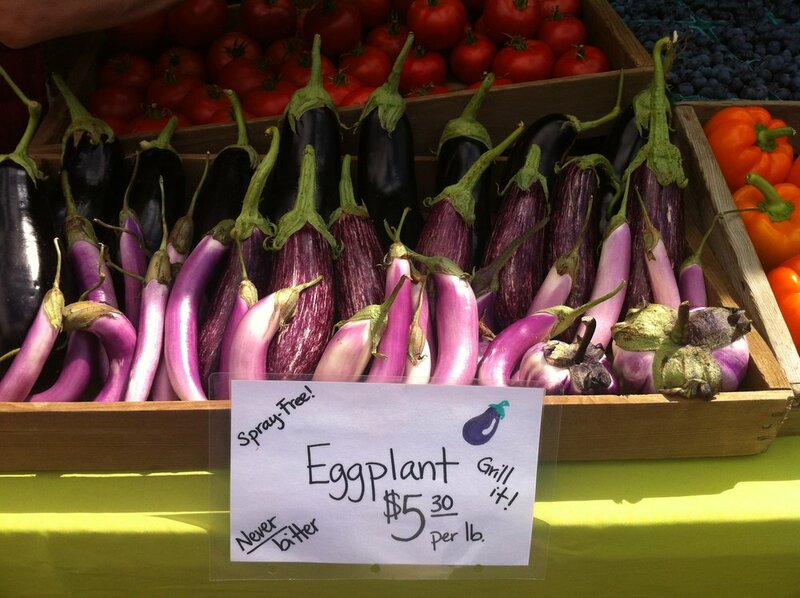 For example, I always thought eggplant was not a personal favorite. Then I realized that everything tastes wonderful drizzled with olive oil, parmesan cheese, salt, and pepper and thrown on the grill or under the broiler. EVERYTHING. I also kept at it and found I really like Baingan Bharta, the Indian preparation of eggplant and the eggplant dip baba ganoush. In the meantime, stay away from the vending machines and synthetic flavors, and keep offering fresh, real food. See you at the Market! 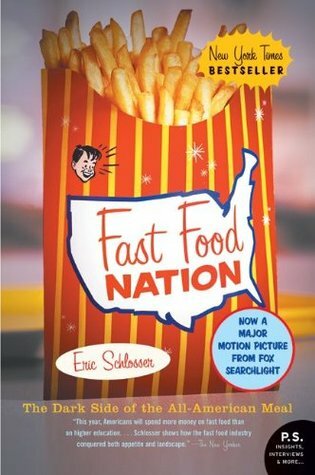 For a school assignment, my high school junior recently had me get a copy of Fast Food Nation, Morgan Spurlock's account of putting himself on a fast-food diet and checking out the results. If you happened to miss the book and the subsequent movie, here is the summary (spoiler alert! ): fast food turns out to be not so good for you. No big surprises there, but all the persuasive books in the world can't prevent my occasional cravings. We went to a potluck wedding a month ago, and what did I lunge for? The bucket of Kentucky Fried Chicken, naturally. Hey--I get homemade food all the time, but sometimes you just want the Colonel's eleven herbs and spices. And if French fries appear in a three-foot radius of me, watch out. Not having the time, inclination, skills, or equipment necessary to cook your own food isn't a new problem, it turns out. Or, at least, it isn't a problem that only developed in the '60s and '70s, when women left the homefront and entered the workforce. Fast food, it seems, began as a Victorian phenomenon. As a major 19th century British literature fan, this was a fascinating read. And, as a food obsessive, the chapter "Feeding the Streets" was doubly interesting. Why exactly did David Copperfield go into a pub and get a pint of ale for breakfast? Well, when the options are crappy, untreated water or ale or beer made from boiled water, go for the ale or beer. It's not fresh-squeezed o.j., but at least it won't give you cholera. Victorian London was teeming with people, people, and more people, jammed and crammed in dicey neighborhoods (most without kitchen access), and all those folks needed food. From early morning when everyone walked to work or waited in omnibus-clogged traffic jams, to late at night after the theaters got out, fast food could be found on the streets. Method; Rub the butter into the flour, mince the suet, stone and divide the raisins, mix all together, add the sugar, breadcrumbs, baking powder, ginger, eggs [beaten] and milk, mix thoroughly. Butter well a mould; entirely cover the inside with brown sugar, pour in the mixture, cover with buttered paper and steam for two hours. Note to make the pudding less rich leave out the butter. If it's got suet, you know it's gotta be good. Street-sellers sold coffee, shellfish, meat, hot potatoes. 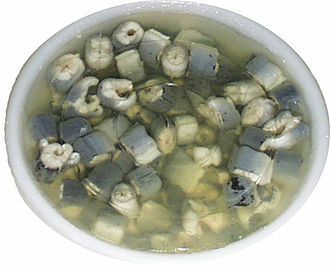 A favorite offering was hot eels, "which were cheap and, because of their gelatinous consistency, filling." Then there were the cheap oysters, four for a penny, "opened, vinegared and peppered." Nowadays we might avoid the pies for the hydrogenated fats, and we still know the disappointments of skimpy pie filling, but at least we are spared the cats. On the plus side, fresh and seasonal were givens. Gooseberries and strawberries in summer, hot green peas at Easter, hot elder wine and pease pudding in winter. And as for beer, you only had to leave your pot hanging on your railing and potboys from the nearby pub would come by and fill it on weekday evenings. Like having your own milkman, but for beer. If you had a little more time and money to eat, you could bypass the fast food offered at street stalls for a coffee house, soup house, or chop house. 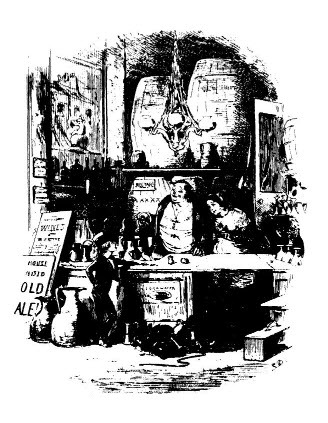 The last option served meat, bread, and half a pint for sixpence. And then there was the wonderfully named "slap-bang" aimed at poorer Victorian clerks with only a 15-minute lunch "hour." You hung up your hat, sat down, ordered, bolted your food, paid, and ran back to work. And finally, for those for whom fast food wasn't fast enough, waiters could deliver food to office workers. I guess the sad practice of eating at your desk isn't something we invented this century either! Nor were the ill effects of all that fast food just a modern consequence. As Morgan Spurlock discovered, too much low-quality food on the run wreaks havoc with your vitals. 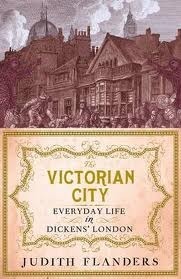 In Dickens' time, if you made it to the age of 16 without managing to die from the cornucopia of mortal diseases, your average life expectancy was 58. If you made it to 25 without mishap, you might eventually reach 61. Dickens himself only made it to 58, which doesn't sound old at all nowadays, but, really, that's a lot of stewed eel and cat's-meat pie. At the end of the street from my childhood home in California lies an undeveloped field. When I was growing up, there used to be a couple horses who grazed it, but nowadays the horses are long gone and the field has been given over to weeds. Chief among which are wild mustard plants. And when the mustard is going full force, my mom will report on how many people she sees milling around in the field, harvesting free food. They're all Asian folks (probably Chinese) for two reasons (and I speak as a Chinese-American): (1) Chinese enjoy mustard greens in a stir-fry; and, (2) Chinese adore saving money. Author Nordahl advocates for unused city land to be planted with edibles and cites many exciting examples of cities doing just that, thus getting citizens excited about gardening, making use of dead space, fighting the "food desert" problem, and supplying local food banks with fresh, ripe, seasonal produce. Now, Bellevue hardly counts as a food desert, as we are spoiled with access to not only local-ish foods, but, in our grocery stores, to food from across the globe, but it's still true that those foods are pretty pricey and that not every citizen of Bellevue reaches first for the fruit and vegetables and second for the Chick-Fil-A and Wendy's. As Nordahl points out, processed and fast food offer the most calorie bang for the buck. It takes a lot of carrot sticks to make you feel as full as one Quarter Pounder. Wouldn't it be lovely if more of the easily accessed public landscaping were edible? All planted alongside "Eat Me When I Look Like This" signs? 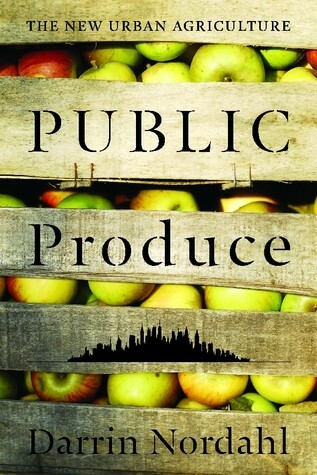 If a thousand objections immediately rose to your mind, including things like maintenance, liability, etc., you may want to read Public Produce for Nordahl's rebuttals. I was more interested in visions of free food gracing our community, like the tiny strawberries that landscape our summer pool. I'm pretty sure I'm the only pool member who actually picks and eats the four or so berries per year, but it's worth pointing out that the strawberry plants get as little TLC as other plants at the pool and that I haven't died yet from eating them. Did you realize that fruit tree branches that overhang public access areas are fair game? That some towns and cities have online maps you can consult, to walk around and pick all sorts of free produce? Greedily I checked if there were such a map for Bellevue, but alas, only a few (private) fruit trees are listed on one site, along with the blackberries we all know from our own thorny wrestling matches in the backyard. Sigh. 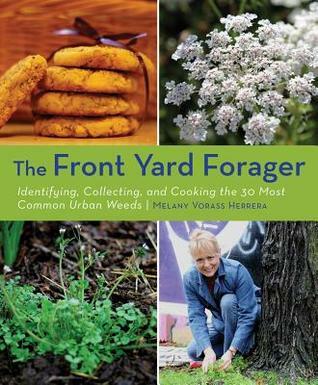 But weeds do grow like...weeds...in Bellevue, especially in the spring, so a future mission I've assigned myself is to investigate some foraging books and report back. 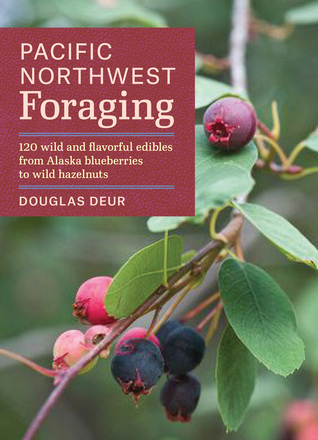 The last foraging book I had was black-and-white with hand-drawn illustrations. I don't know about you, but I wasn't willing to go out and about, stuffing things in my mouth based on my best guesses. I'll keep you posted on my findings. All of which is to say, if you're considering putting in new landscaping this year, think about making it edible! In these days of social media, you don't have to worry about harvest going to waste, if you let people know about it. Just one last word of wisdom: none of what I've said applies to zucchini. Don't plant zucchini. No one wants your zucchini. No one can even keep up with their own zucchini. Zucchini = NO. they seem less certain that there is a single discernible dietary pattern evident among excavated sites. Some scholars have begun to doubt whether Java Man or other populations of Homo ever kept to a uniform diet; some even wonder if ancestral diets contained more or less the same proportions of fats, proteins, sugars, and fiber. Heck, even the primate populations living today "less than one hundred miles away from one another" demonstrate considerable dietary and genetic variation, so who's to say what Paleolithic man ate? the forcing of ethnic populations to abandon either their homelands or their traditional diets has inevitably led to epidemic rises in diabetes, heart disease, cancer, and allergies, among other maladies. Because some people have been untethered from the foods to which their metabolisms are best adapted, some 3 to 4 billion of your neighbors on this planet now suffer nutritional-related diseases (italics his). The studies and cases covered by the book are fascinating. Why do some Sardinians suffer from seasonal symptoms, when fava bean pollen is adrift? Why do the highland Cretans eat three times the fat of Americans, but the Americans sampled had a coronary death rate forty times higher? Why are some families more prone to alcoholism than others? Why do many ethnic populations who shift to a "Western" diet see their diabetes levels skyrocket? A lot of what Nabhan had to say about the both medicinal and toxic effects of plant chemicals dovetailed well with Mark Schatzker's book THE DORITO EFFECT, which I talked about here. 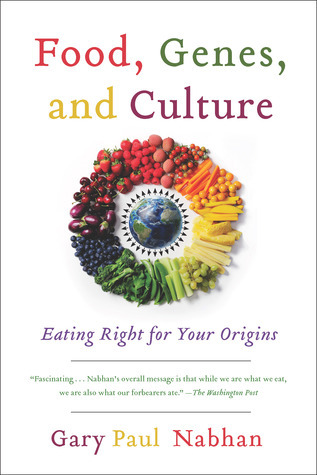 I only wish Nabhan concluded with a giant map of "traditional" diets across the world. What would be his best guess for what different ethnicities should be eating, if you weren't one of the few groups discussed in the book? Some diet company could tap into a goldmine here. They could run a genetic test on clients and then hand them a printout of the diet their body is tailored to. Anyone? Anyone? According to the American Diabetes Association, of the 29+million Americans who had diabetes in 2012, only 4.4% were Chinese. In 2010, according to the CDC, rates for coronary heart disease were lowest among Asians/Pacific Islanders (3.9%). While Asian/Pacific Islanders have only the second-lowest number of cancer incidents among the ethnic groups, they have the lowest death rate from cancer. So I did a little research on traditional Chinese agriculture on the internet and discovered the legend of the Five Grains, mythical stories that explained the dawn of agriculture in China, about 9500 years ago. While accounts differ on the original five grains, some main contenders pop up: millet, rice, wheat, soybeans, hemp, adzuki beans, and barley. Which means my body has benefited from thousands of years of evolutionary adjustment to those items. Score! Now I just need to figure out how to keep the hub and kids alive, they being much more genetic mutts. This might mean I have to pull out that genealogy from crazy Great-Grandpa Dudley, who once traced the family back to the Virgin Mary. Yes, you read that right. I had to throw in that bit about practical foodies because I consider myself one. Which means I've stopped buying weird, esoteric, one-recipe ingredients, and I don't want any single-purpose kitchenware that takes up space, much as I have occasionally yearned for a tortilla press. I've tossed cookbooks from which I only liked a couple recipes. I feel guilt if I take home restaurant leftovers in a Styrofoam container that I know can't be recycled. You get the idea. 1. Yogurt starter. All those probiotics do wonders for the gut and general health and weight, but who needs the added sugars and all those plastic containers? New England Cheesemaking Supply Co. pic! I've successfully made very tasty homemade yogurt with these starter packets, Organic Valley whole milk, some powdered dry milk, and a quart thermos. See this post for details. It wasn't too difficult and, apart from a candy thermometer, required no fancy appliance or special equipment. When the yogurt is done, you spoon some out, swirl in fresh fruit or good jam, and you're off to the races! 2. Produce bags. I've bought the mesh, reusable kind at Whole Foods and Fred Meyer and much prefer the brand carried at Fred Meyer. Who needs more plastic bags at home, even if they can be rinsed, gathered with other plastic bags, and recycled? Much easier just to use your own. They're washable, too, if you're a germaphobe. 3. Homemade healthy food. Because we all get enough cookies and sweet quick breads at Christmas. So how about granola or a homemade soup or chili kit? How about homemade salsa or a loaf of sliced and freezer-ready artisan bread? 5. Genuine flavoring. Beware--once you smell and taste Penzey's Almond Extract, you can never go back. Just water, alcohol, and almond oil. This is the secret ingredient to our sugar cookie icing and our spritz cookies. It's also good for just taking deep, deep whiffs of, to send yourself into a swoon worthy of the Victorian era. so I had the brilliant idea of combining the two. Exercise AND face-to-face contact. How about scheduling some one-on-one walks with that friend or family member you're always trying to connect with? Or give a gift certificate to a dance class you can take together, just for laughs. A friend offers these classes, and I'm thinking this would be so fun to do as couples or with a bunch of girlfriends. Can Cheap Food Be Delicious? Considering the amount of money (not to mention time) my hub spends putting in and tending his garden every summer, I'm pretty sure home-grown food doesn't beat farmed in price, only in enjoyment. We also tend to eat much more of the home-grown produce because--well, you know--when the harvest arrives, it arrives. Despite two tomato sauce batches, one tomato soup, five Caprese salads, five batches of baked tomatoes, one recipe of bruschetta, tomatoes added to other kinds of salad and soup and Spanish rice, and countless bowls of pico de gallo, we still had plenty of crop left on the vine when it was time to tear the garden out. Thankfully, tomatoes continue to ripen after harvest, albeit not as deliciously as on the vine in hot summer sun. So our little troops are lined up on newspaper in the garage, to extend our season into late fall. All that said, giving Good and Cheap away for free is a great start. Just don't expect it to change the way America eats. As promised, this recipe was cheap and much more than good. To make my life easier, I halved the squash, seeded it, and threw it in a crock pot on LOW for a few hours until it was cooked. Then I scraped out the flesh and added to the soup later. Melt butter in soup pot over medium and saute onion through garlic until tender. Add spices and cook another 2 minutes, stirring. Add cooked squash, coconut milk, sweeteners, and 3 cups of water. Stir. Bring soup to a boil, then reduce heat and simmer 30 minutes. Season to taste with salt and pepper. Blend thoroughly with immersion blender. Serve with dollop of sour cream and sprinkle of garnish. I plan to try several more recipes in the book and will report back. In the meantime, just two more Thursday Markets, and this will be Skagit River Ranch's last Thursday. Be sure to ask about signing up for there Bellevue Buyers Club, if you still want to order meat in the off-season. Did you notice there were Concord grapes at the Market last week? I was thrilled to see them, since we rarely see grapes at farmers markets on our side of the mountains. And, while Washington grows plenty of wine grapes, most table (and other) grapes are grown in California. Moreover, if you've ever had "grape juice" or grape-flavored cough syrup or grape-flavored what-have-you, the grape flavor chemists were imitating was that of the Concord grape. So, in clever reverse-marketing, I asked my twelve-year-old Sherpa daughter if she wanted to taste some grapes that tasted like fake grape flavoring. Of course she did. They're addictive, once you figure out the proper way to eat them. Concord grapes have both seeds and a bitter skin, rather like plums. Popping the whole grape in your mouth and chewing it up is not a pleasant experience. My trick was to let them get nice and ripe on the counter. Then I "squirted" the grape into my mouth (minus the skin), being sure to get the juice, key to the "fake" grape flavor. You then chew up the pulp and spit out the seeds. After going through the trouble of eating these grapes, I see why chemists zeroed in on an easier way to produce the flavor. But I want to argue that the process involved in eating them increases your enjoyment. Rather like having to shell pistachios. It also slows consumption. And anyhow, ever since I read Mark Schatzker's The Dorito Effect, I've been on a personal crusade to avoid synthetic flavorings and to enjoy the real deal, with all its attendant health benefits. As I mentioned in a previous post, there's good evidence that flavor in nature is linked to that voodoo that real food does so well. When we recreate those flavors in a chemistry lab, we decouple them from their benefits. Synthetic flavors (which include both "natural" and artificial flavors) encourage us to eat bland, nutritionally bankrupt food we would otherwise get bored with, thus robbing ourselves of the nutritional variety and the satiety indicators that an array of real food, full of real flavors, provides. So skip the grape-flavored candy and "fruit snacks" and try everyone out on the real McCoy. Preheat the oven to 400F. Butter a dish large enough to hold all the halved tomatoes. Cut the tomatoes in half around the equator and dig out the seeds with your finger. Chop the garlic and herbs and mix them with the bread crumbs. Season with salt and pepper. Top the tomato halves and set them in the buttered dish. Drizzle some olive oil over their tops. Bake for 30-35 minutes, depending on the size of the tomatoes. Serve carefully, and remember these suckers are hot when they come out of the oven! Have no fear. Still tasty and so flavorful! We'll see you this Thursday or Saturday at the Market, where real food and real flavors abound. May I have your attention, please! Dinners at our home are rarely newsworthy events, but for the past two days, they have been. Not because of what was served, but because of who ate it. Seriously, I rank this right up there with Queen Elizabeth II achieving the longest reign--last night I served roasted beets with a yogurt dipping sauce, and all three of my kids ate some. Not a lot, but some. Meaning, in the case of two of them, a chunk of beet the size of a pea. You might be thinking, So what? I love beets. Or, like many people I know, you might have read that last paragraph and shuddered inwardly because you hate beets. What I've learned this week, is that we can actively work to expand our taste likings and the likings of even the pickiest of eaters. 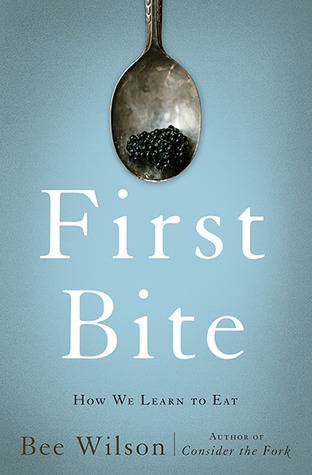 What Wilson discovered is that, while there is a genetic and an in utero element to what tastes we like easily, much more of our tastes develop from how and what and when we are fed in the early years afterward. We have such thing as a tasting window, when we're open to new flavors. (Sadly, this window doesn't correspond with the current guidelines and timeline on how to feed babies.) But even after the window of our greatest tasting openness has slammed shut, there are techniques to increase our liking of other foods and flavors. I would highly recommend this book to anyone who has to feed anyone or who is looking to expand his own limited palate. Wilson also discusses some of the food-liking limitations of autistic kids and treatments that help! Even if you're not someone crippled because you can only stand to eat a handful of things, there's much to be gained from expanding our flavor horizons. Limited foods often equal limited nutrition. And the rise of processed food consumption has led to people developing "uncannily homogeneous tastes, markedly more so than in the past." What are these homogeneous likings? Well, for sugar, fat, salt, and refined carbs. Now that "half of adults in the U.S. have diabetes or pre-diabetes," it's looking like a great time to reform our palates. As Wilson points out, it's no use threatening or advising folks. Much more useful is actually getting people to enjoy a healthier, more varied diet because they discover they like it and start to prefer it. Hence my exercises in beets (and green beans the night before). Multiple exposures can get people over the I-don't-like-beets hump into the familiarity camp, and then into the tolerance camp, and then--possibly--into the liking camp! That's the plan, anyhow. It can happen. Over the years I've grown to like beets, cilantro, cooked spinach, fish, kale, mushrooms, and onions--all things I disliked as a kid. Who knows what more lies out there? 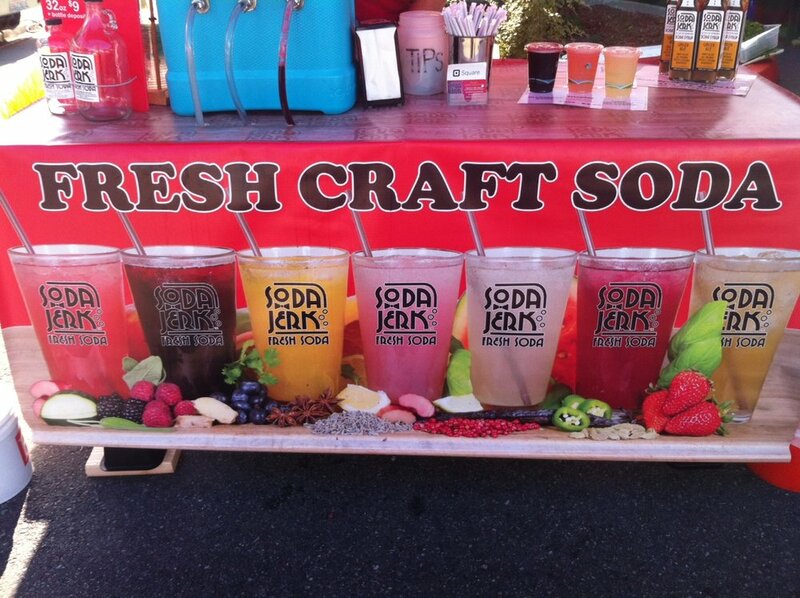 Speaking of new flavors, did you notice our new Thursday vendor? Get to the Market this week and try at least one new thing. Prepare just a little bit. Try it a couple different ways. Get everyone in your home to taste a pea-sized bite before they chow down on old standbys. Let me know what you find! I had a wretched meal the other day. One so bad I feel I have to tell you about it. 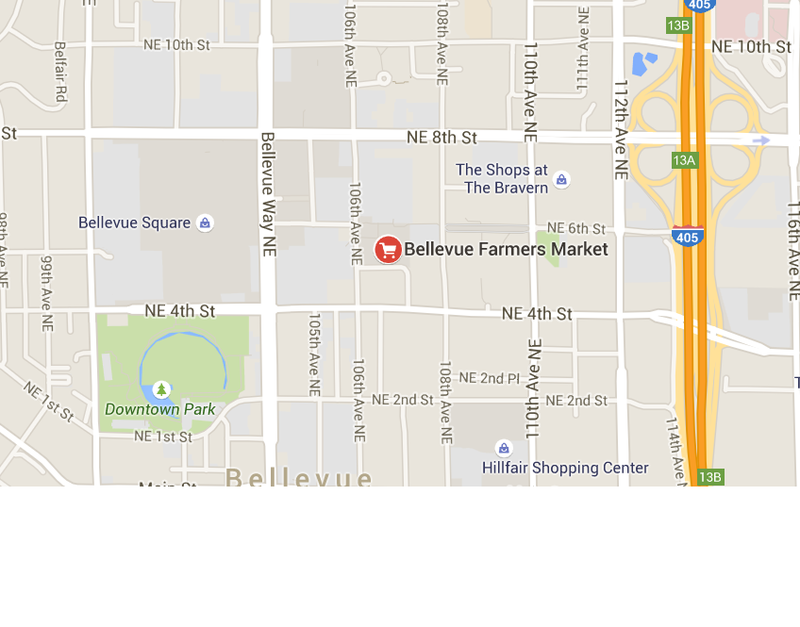 See, what with family trips and unavoidable commitments, I hadn't made it to the Bellevue Farmers Market in weeks. Our meat supply in the freezer dwindled to one package of bacon. Our fresh fruit and vegetables were reduced to the tomatoes in my husband's garden and some mint struggling to survive in a pot on the porch. Desperate times. So I went to the supermarket and bought some organic chicken to throw on the grill. I even made homemade barbecue sauce. How bad could it be, right? Grilling makes everything awesome, especially charcoal grilling. It was t-e-r-r-i-b-l-e. The meat was both too chewy and flavorless, in spite of my doctoring. My 14-year-old son, never one to hold back on criticism (or on eating protein), told me, "Never make this again." He needn't have worried. As I chewed and chewed just for the heck of it, I made a vow that, the next opportunity I had, I would stock up on pastured, Market chicken, that such a fate would never befall us again. It was only when I began reading my latest food-related book that I understood why that meal was so abysmal. Author Schatzker thinks about the familiar problems of rising obesity and its attendant ill effects from a new angle: that of flavor. How has the increasing lack of flavor in our high-yield crops and livestock, and the simultaneous manipulation of synthetic flavor to compensate, led to our weight issues? He calls this the "Dorito Effect," after that original taco-in-a-chip product that first fooled our palates into thinking we were eating one thing, when we were actually eating another. 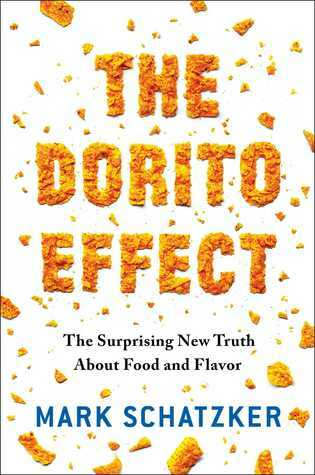 This book is chock-full of fascinating stuff, and I'll probably say more in the future, but for the time being, I just want to list "all the ways the Dorito Effect appears to be turning us into nutritional idiots." Or, as I would subtitle it, "Seven Reasons My Chicken Was Dreadful," or, "Seven Reasons to Bypass Big Food for the Farmers Market." Dilution. With industrial livestock, it's been a race to produce the biggest animals the fastest and the cheapest. As Schatzker points out, we now effectively eat bloated babies fed high-yield grains coated in synthetic flavors to boost consumption. Since flavor in meat depends on what the animal ate and its age, we've experienced a decline in flavor. Nutritional decapitation. Synthetic flavors (which include both "natural" and "artificial" flavors) imitate the tastes we find in our favorite foods, without being also able to imitate the nutritional value of those foods. No fiber, no antioxidants, no vitamins, no minerals. False variety. Animals left to themselves crave variety in foods to ensure they get what they need and avoid what they don't need. (Ask me about my consuming craving for barbecue beef ribs during my first pregnancy--I'm forever low on iron.) Synthetic flavors fool our mouths into thinking we're getting this variety. Cognitive deception. Is there really any fruit in that yogurt? That snack bar? Or are we just being led to think so (and pay as much) by the added fake flavors and marketing? Emotional deception. Our favorite foods usually have great memories and feelings attached to them. When we hijack the flavors and attach them to something else (usually not as nutritious and high in calories), we assign this heightened pleasure to something not nutritionally deserving. Flavor-nutrient confusion. While the synthetic flavors may fool our palates and encourage us to eat more, our bodies are not satisfied. We still need what we need to function, after all. So we eat more. And more. And more. Feeding ourselves like livestock, with the attendant results. Because animals don't like to be penned up and fed the same bland grains and soybeans day after day, farmers have to dress up the food with "palatants." Fooled by the new yumminess, the animals gorge and fatten up nicely. Well, as Michael Pollan pointed out way back in The Omnivore's Dilemma, humans also eat plenty of corn and soy in our processed foods (and because our meats ate them). And, just like the livestock, we add fake flavor to make it taste like a host of different things, so we don't get bored. And, just like the livestock, we've fattened up nicely. Bust out of bland! Dive into deliciousness, naturally. Nestle into nutrients. Hit the Market this week and bypass Big Food. I'll be there. Tasty as my husband's tomatoes have been, I've got a hankering to diversify our diet. Lilac season is already nearly over. And I will say again that I wish those interested in genetically modifying plants would hurry up and work on lilacs. Why the heck is there no ever-blooming lilac? Or at least twice-blooming? Would that not bring as much joy to the world as crops that survive being sprayed with Round-Up or seedless oranges? (Really, how annoyed are we nowadays to find seeds in our oranges or grapes or watermelons? Spoiled.) And once they figure out lilacs, my next vote would be for twice-blooming rhododendrons. Because lilacs usually bloom a few weeks later, I can't help but feel like the Bellevue Farmers Market should be opening right about now. The lilacs turn brown, and off we go to the Market, right? Hang tight, everyone. I count 15 more days until the first Thursday Market of the season, with its flowers and tender greens and new and familiar vendors to see. May 14! Mix dressing ingredients and toss with salad. Apart from biting into one of those awful cherry tomatoes once in a while, you'll think it's the 4th of July! In fact, I can't wait to make this with our homegrown tomatoes in August. This salad can be varied with basil. Or with diced carrots and celery and cucumber in place of the cherry tomatoes. Have at it. 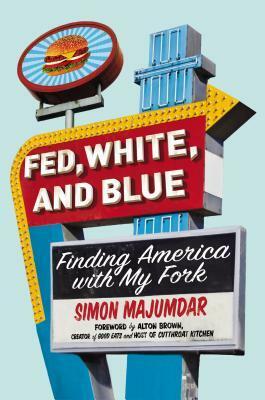 A fun series of essays ranging from eating contests to serious barbecue (reminded me of Michael Pollan's Cooked) to tailgate parties and food salvage. If you're headed for L.A. or the Bronx, consult this book first, for its mouthwatering secret Filipino, Korean, and Caribbean restaurants. Hoping April hasn't been too cruel a month for you so far, although dreaded Tax Day approacheth. I got it over with and sent in the check (can't remember the last time we've seen a refund around here...), but if you still have that hurdle ahead, one of my latest reads should cheer you up. 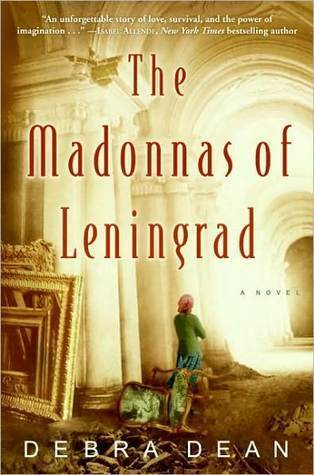 This was a wonderful memoir covering the author's extended family's life in Moscow, from the 1910s (end of the Tsarist era), to the birth and development of the Soviet Union, to its dissolution and almost present-day Russia. No matter our tax burden, at least we're not living under Stalin! We've got bounteous food on our store shelves, private kitchens in our homes (rather than communal apartments), and none of our past leaders have been embalmed for us to pay homage to. Knowing almost nothing about Soviet history, this book was nonstop fascinating and sometimes funny. 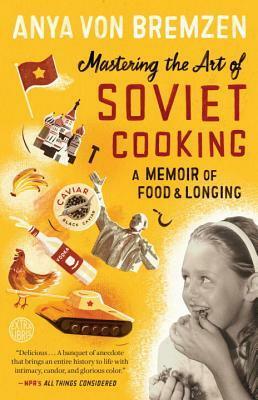 Her chapters are organized around eras and the food that typified the era, for which recipes are found in the appendix. I don't know about you, but I'd only had Russian food once, prepared for us by an Uzbeki couple. There was something fishy, something potato-y, several things mayonnaise-y. All quite tasty. 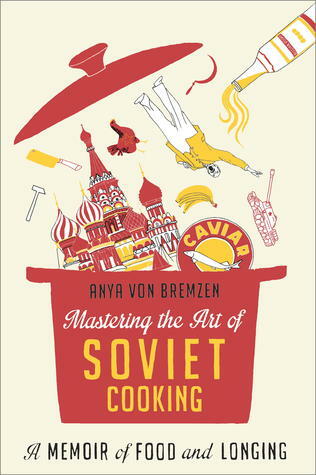 The recipes in Mastering the Art of Soviet Cooking are quite elaborate in many cases and nothing I plan on attempting soon. But since my book club will be doing a Russian-themed evening for The Madonnas of Leningrad this summer, and since I had boiled eggs on hand for Easter, I decided to try my hand at what looked simplest. Combine all salad ingredients. Whip up dressing ingredients and toss well. Refrigerate until serving. A couple comments: I didn't like the fake crab I used and would rather have had chicken. In fact, I'd probably prefer the salad vegetarian, with thawed, frozen peas substituted for the drab canned peas. This keeps well in the fridge for a couple days and is appropriately colorful (for an off-season salad) and mayonnaise-y for that Russian feel. Anyhow, whether you're a potato salad fan or not, I highly recommend the entertaining book. Enjoy. 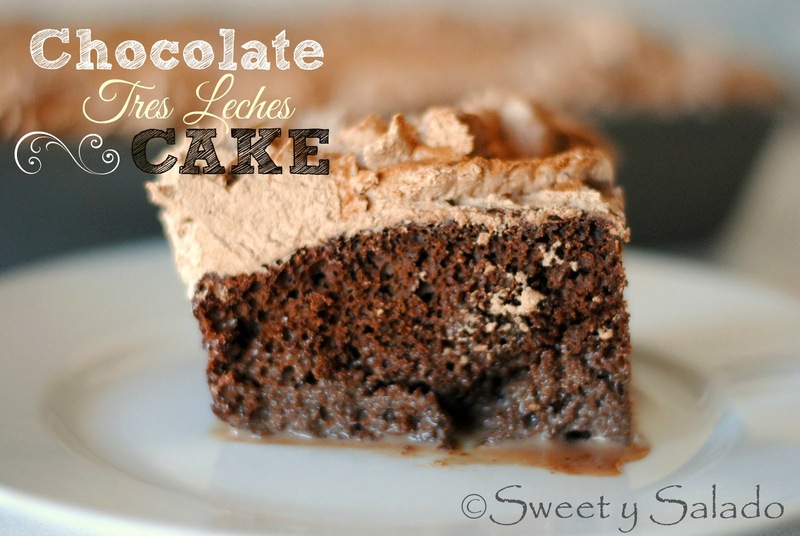 If you made the Chocolate Tres Leches Cake I included in last week's post, I apologize. Don't know about yours, but mine was severely underwhelming. (Think of my sharing that recipe with you as an early April Fool's joke...) Other members of the supper club dutifully ate their portions, but I left half mine on the plate--unthinkable for a dessert! Not only did the thing look lousy on the plate (I now understand why there was no picture in the cookbook), but I didn't take a picture because I put the rest down the garbage disposal. But before you (or I) recycle Debi Shawcross's Friends at the Table cookbook, let me hasten to say the rest of the menu was absolutely delicious and highly recommended. Artichoke Quesadillas. Tastiness: 10! Effort: 4. Southwestern Caesar Salad. Tastiness: 7. Effort: 7 (probably not worth it). Halibut. Tastiness: 8. Effort: 5. Creamy Green Chile Rice. Tastiness: 8 Effort: 4. Chocolate TL Cake. Tastiness: 3 Effort: 3. The ambience and company rated 10s, and, of course, you would have control over those elements in your own supper club. In retrospect, the recipe you'll want from that evening was the Artichoke Quesadillas. (The maker of which later told me she's already made them again!) Next time you're asked to bring an appetizer, give these a whirl. In a food processor, combine artichokes, Parmesan and basil. Pulse until finely chopped. Place 1 tortilla on work surface. Spread one-fourth of artichoke mixture on top. Sprinkle with 1/2 c Pepper Jack cheese and some of the poblano strips. Cover with second tortilla. Repeat assembly for remaining quesadillas. Heat a large, nonstick skillet over med-hi with fat of your choice. Cook quesadillas one at a time, turning after a couple minutes, until both sides are golden. Remove from pan and cut in wedges. If you've never roasted a pepper, here are Emeril Lagasse's instructions. I think I might even be able to get my kids to try these, since they'll be fooled by the tortillas and cheesy goodness. In other news, it's April! 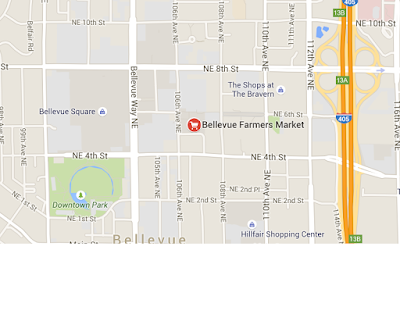 Just a hop, skip, and a jump away from May and the opening of the 2015 Bellevue Farmers Market season! Stay tuned for info. You might still be recovering from the Game That Must Not Be Mentioned. 1. We were sitting on the couch, trying not to think about things. 2. We wanted to watch something that would cheer us up. 3. Netflix was streaming William and Kate, a Lifetime made-for-TV movie, which you knew had to be awesome. 4. Watching the movie (which was every bit as awesomely awesome as you could imagine) reminded us that we had a tin of Walker's Shortbread in the pantry--a commemorative tin with Will, Kate, and Baby Prince George on it. Thank heavens no one took a picture of ME right after childbirth, and put it on a commemorative tin! Did we feel better? Marginally. But it was worth it in the end because the conclusion of the Lifetime movie must be seen to be believed--I'm talking big belly laughs that were unintentional on the movie producers' part but greatly appreciated all the same. Then the pall descended again. The Game That Must Not Be Mentioned was not a hideous nightmare, and our friend was still gone. Memoirist and blogger Andie Mitchell turned to food because she had an alcoholic, unemployed father, an absent mother who had to hold down three jobs, and a family dynamic that would take the mickey out of anyone. On the plus side, although Mitchell binged constantly and gained weight steadily, she attended the kindest high school on earth and still had popular friends, a hot prom date, and she got voted Prom Queen. Huh? Where was that high school when the rest of us needed a little understanding? 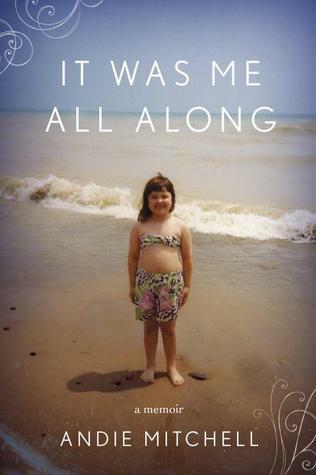 It Was Me All Along chronicles her journey through obesity, weight loss (surprise! it was exercise and portion control), neuroticism about eating, and then health. The food blogger in her comes out with elaborate food descriptions that certainly won't help anyone who struggles with obesity or eating disorders, and it turns quite humdrum once she loses the weight and gets over her fear of eating again, but it's worth a read. 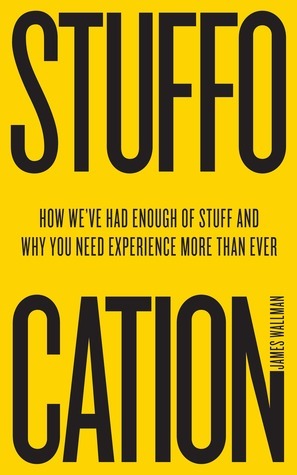 Also worth a read was Stuffocation by James Wallman, who urges us to put down the credit card, quit filling our houses with junk, and get out and live a little. After taking the little mini-quizzes inside I realized this was not a book I needed to read (I'd way rather eat something than buy something), but I know shopping is many people's drug of choice, so I include it here. Instead of buying a new car and drowning under the payments, instead of filling your closet with things you wear once a decade, instead of having the latest this or that, Wallman recommends quality time and experiences. One great point Wallman makes, for why experiences trump possessions is that we tend to remember experiences positively, whether the experience itself was positive or negative. I can vouch for this--we took our kids on the "Santa Train" when they were little, an end-to-end horrible experience, thanks to rain and tantrums and missing shoes and fogged-up windows and Santa giving out toothbrushes, for Pete's sake, but now we milk it for laughs. Lots of laughs. The "Satan Train" has become a favorite memory because of its sheer awfulness. What possession can do that for you? So if you're turning too much to food or bad TV movies or maxing out your credit card in the aftermath of The Game, may I recommend you replace these options? Call a friend and get together. Take the dog on a scenic walk. Make someone something. Curl up with a good book. Plan a getaway. Heck--if none of those work, go ahead and watch William and Kate. It sure won't send you on a Lifetime movie binge. At a recent gathering we hit folks with a hipster quiz, to rate how trendy they were. Had they downloaded the hottest songs? Seen the hottest movies? Lost hours of their lives to Trivia Crack?Since those present ranged in age from 14 to 85, you might imagine that trendiness varied widely. In one area, however, just about everyone was in step with the times. Or the times, circa 2014! Scoring was impressive. Except that those trends are supposedly on the wane now. Radishes. Because they're so...radish-y, I guess. Yogurt with vegetables in it. Because...ick. Maple syrup. Because all our bees are dropping dead, but there's no shortage of maples in Canada, for the time being. If only the danged trees could make themselves useful and do some pollinating while they're at it. Sour flavors. The kids had the jump on us on this one. They've been downing sour Gummi worms for years. Hemp. Because with all that legal marijuana, we've got more seeds floating around. Hemp milk! Hemp in cereals! Hemp--it's what's for dinner, not just what's tying the yacht to the dock. Old school cocktails. Might be sentimentality over Mad Men ending, but those drinks grandpa drank are ba-a-a-ack! Eating seasonally, if not locally. Not sure I get this one, since, to co-opt the drinking excuse, it's always summer somewhere. The end of restrictive elimination diets. 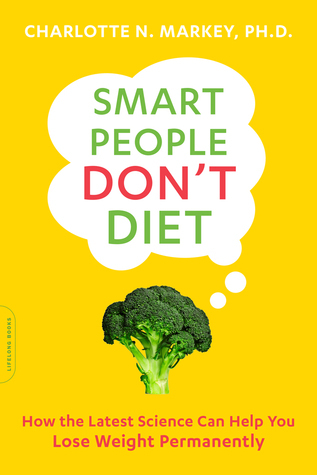 Which means that book I reviewed earlier, Smart People Don't Diet, is exactly on trend. Impressive. Spanish cuisine. Not only is the country a hot tourist destination, but the food is in too! And if you make or eat it in America, you can even eat your dinner before nine o'clock. And finally, trendwatchers predict fancy cookies on dessert menus. Well, duh. But supposing you're still clinging to 2014's food trends. Greek yogurt tastes like ice cream, you argue. Or, It may be 2015, but I'm still gluten-intolerant! It's okay to be out of style. In fact, if gluten still isn't your thing, you may as well go all the way and be 250 years out of style. I've been reading a fascinating little history of American meals called Three Squares, and in one passage, author Abigail Carroll describes how Ben Franklin patriotically stuck up for American consumption of "Indian corn" in the face of English snootiness. Franklin deemed corn "one of the most agreeable and wholesome grains in the world...its green leaves roasted[!] are a delicacy beyond express;...samp, hominy, succotash, and nokehock, made of it, are so many pleasing varieties, and...Johnny cake or hoecake, hot from the fire, is better than a Yorkshire [English] muffin." This impassioned declaration got me to thinking--colonial Americans often ate gluten-free by default. After all, wheat ain't easy to grow, and Carroll notes that wheat didn't take off in America or become widely (or cheaply) available until the end of the 18th century. Instead, early Americans ate plenty of peas and that Native American local favorite, corn. So say you're clinging to your retro, gluten-free food trend and want to get back to corn. What are these luscious dishes Franklin references? Samp: corn porridge similar to oatmeal, based on a Native American dish nausamp. Plimoth Plantation provides recipes for both here. Hominy: yes, that hominy--like you find in cans in the Mexican food section. I guess they mixed it with bacon (another ancient food trend!) or ham and ate up. Succotash: a boiled, one-pot meal in olden days. Zester Daily gives a history and recipe here (and hominy makes its second appearance). Nokehock: apparently this recipe has fallen out of favor in the last 250 years, so maybe Franklin was alone in his appreciation for it. 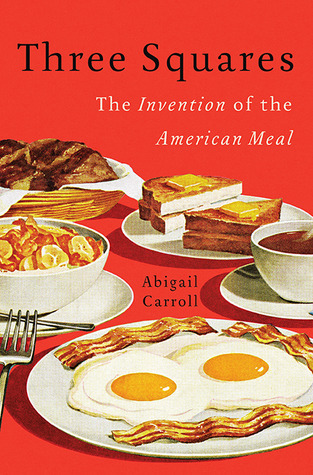 Another author of an American food history defines it as "parched corn cooked in hot ashes, then pounded into meal." Uh, yum? Johnny cake: recipes for corn pancakes have never gone completely out of style, and looking this one over made me want to whip some up. Add a dollop of Greek yogurt, some bacon-flavored maple syrup, and wash it all down with a kale smoothie, and it'll be like 2014 all over again! Last night we watched the movie The Maze Runner. If you've never heard of the film, think of the recent slew of YA dystopians and you've got the idea. This time unknown Dylan O'Brien played the role of Jennifer Lawrence/Shailene Woodley/Brenton Thwaites and Patricia Clarkson took on the role of Donald Sutherland/Kate Winslet/Meryl Streep. Kid under pressure takes on crazy regime led by creepy, heartless adult. Here again we find the now-very-familiar no-carb/ultra-low-carb recommendations, although the author structures his book differently: 1) what you should be eating; 2) what exercises you should be doing; and 3) the science behind his recommendations. The first few times I read books recommending animal fats and accusing carbs of crimes against humanity, I devoured them, so to speak. But now, while fully believing the science and the claims, I've decided it's better to eat some carbs and sugar because 1) life needs some joy, and 2) people on weird, unsustainable, expensive diets get on my nerves. Let's get real: no matter the science involved, I'm never going ultra-low-carb or no-carb unless imminent death is the only alternative. I'd rather live ten fewer years and get to have bread and pasta in moderation and the occasional sweets. I have no intention of giving up fruit or potatoes. Yes, the Inuit and the Masai tribe do just great on diets largely of fat and animal products, but no one has ever envied them their diets. 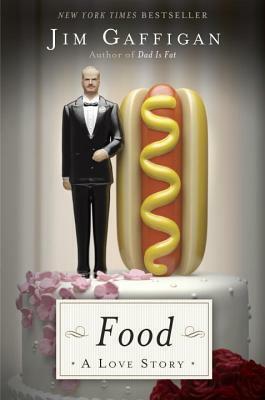 Gaffigan's loving, loving relationship to just about all foods other than seafoods contrasted violently with Grant Petersen's eat-to-live-lean-and-mean approach, and after just a few pages it was clear to me who I'd rather hang out with. Because, really, aren't people who get zealous with their diets just so tiresome? Wouldn't we rather spend our few years on earth enjoying a cheeseburger, fries, and some birthday cake with someone who loves them as much as we do? In the old days when I feared fat and had swallowed the [you-need-lots-of-fiber] Kool-Aid, I'd eat peanuts--shell and all--hoping to surround the fat I consumed with fiber and make it less accessible. At my worst, I'd eat only the shells. Are you kidding me? This guy needs professional help because that sounds like a textbook case of the newly-diagnosed Orthorexia Nervosa, the eating disorder where you get so freaked out about "eating healthy" that you can barely get enough to eat. At your next picnic, if you're given a cob of corn, slather it with butter and slurp it off. Do that a few times, and then drop the yellow menace in the dirt, so you don't have to be sneaky when you toss it in the trash, where it can't hurt you. If I were the hostess at that picnic, I think I'd far rather he just said, "No, thank you," when I offered him the cob of death. I can't stop eating. I can't. I haven't been hungry in twelve years. Once a writer at Entertainment Weekly described me as a human garbage can, which I think he meant as a compliment. Last night, I had the following train of thought: Ugh, I'm so full. I guess I'll have some cheese. Hmm, I don't even like this cheese. I guess I'll finish it. I know it's not right. On more than one occasion while eating something, I've thought to myself, Maybe this will make me hungry. It's either that or feel my feelings. Jeannie likes to point out, "You know you are only eating your feelings." I always respond, "Yeah, but these feelings are delicious." He follows up that honest introduction with what amounts to a transcript of a long, often hilarious stand-up routine that covers everything from appetizers to desserts. I spent a lot of time reading and giggling to myself and thinking, I should look this guy up on YouTube! All of which is to say, if you're on a crazy low-carb diet (for as long as you can hold out), read Petersen for inspiration. But don't read Gaffigan because he'll not only make you hungry, he'll also make you take the whole food thing way less seriously. Research shows that playing cards once a week or meeting friends every Wednesday night at Starbucks adds as many years to our lives as taking beta blockers or quitting a pack-a-day smoking habit. Meaning, if your New Year's resolution was to quit smoking, hooray, but you'd get even better payoff if you made and invested weekly time in a couple friends! Or hung out in the flesh with a few family members. More and more proof is emerging that in many cases, full social lives can slow down, if not halt, an existing cancer's progress. In 2004 a Swedish epidemiologist discovered the lowest rate of dementia in people with extensive social networks. Author and psychologist Pinker cites all kinds of studies, many familiar to me from other brain books, and she presents her information in the most accessible way. 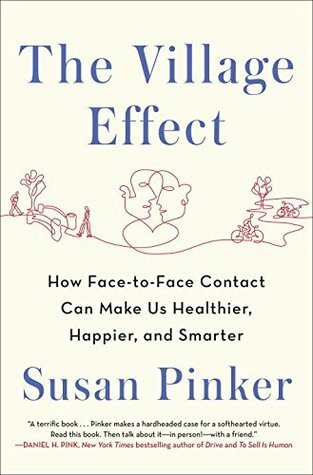 How does face-to-face contact work its magic? It lowers "physiological stress responses, which in turn helps the body fight infection and inflammation." And this magic begins when we're babies. Babies who get lots of skin-to-skin contact gain weight faster, generate more new neurons, and feel half as much pain if they've undergone a painful medical procedure. The magic extends to the new mom, who suffers lower postpartum depression rates, stress levels, and boosts her own learning and memory. Pinker follows the benefits of close connection from babyhood through adolescence into old age. A super worthwhile read. So supposing you're not well-connected--at least not with people you see regularly face to face. The irony is, you're not alone. One-third of middle-aged Americans (between 45-49) say they have no one to confide in. One quarter of American men over 75 now live alone, while half of their female counterparts do! And while Americans boasted a average of three confidants in 1985, by 2004 we were down to fewer than two. Yes, we're spending 520 billion minutes per day online, and lots of those on "social media," but we're less connected than ever, and it's taking a toll on our health and longevity. Loneliness "exaggerates the inflammation and reactivity to stress that are linked to heart disease" and "drives up the cortisol and blood pressure levels that damage the internal organs." Super bummer. The cure, however, is much more do-able than cutting out carbs or working out five times a week (both of which would finally yield less benefit). The cure is getting together regularly with a few other people. Building the face-to-face social network that keeps us alive. Pinker mentions people who attend church or synagogue, not for the religion of it (though that has proven psychological benefits as well), but for the company of it. Heck, maybe the grown kids should live in your basement and grandma in the attic! After reading this book I--ahem--texted two friends to remind them that we were going to get together for tea or a walk. I also had lunch with another friend for a game of Scrabble and planning a joint classroom activity. And lest you think this post is solely about saving your life through camaraderie, rather than food, I here include a recipe that the Scrabble friend was making for dinner. Just as Pinker points out, we catch ideas and behaviors (for good or ill) from our close contacts, and, sure enough, I went home and made the exact same dish for our own dinner. Preheat the oven to 450F. Combine all the ingredients, except the tortillas. In a large skillet, fry each tortilla in some butter or oil or bacon fat until puffed and golden on each side (about one minute). On a rimmed cookie sheet or other large enough pan, layer one tortilla and 1-1/3 c filling. Repeat layers until you run out. Bake 12-15 minutes until heated. As I wrote my friend afterward, Tortilla Pie was a little hard to serve (we resorted to kitchen shears to cut it up), but it sure was tasty. This New Year's, let's resolve to replace two hours of social media time with actual social time. And if we get together to eat better or walk together to do it, so much the better! New Year's at the Needle! 2014 is dead! Long live 2015! Seventy-seven percent of the resolvers studied made it through a full week, then 55 percent stuck with their goals for a month. By June, six months into the New Year, only 40 percent of those who had made a New Year's resolution were still sticking with the goal. 1. Extend Sugar-Free January for a vague, unnamed length of time. I made it to March! Well into 55% territory. 2. Give up buying one item that comes in single-use, non-recyclable plastic and make/buy an alternative. Woo hoo! I stopped buying bagged salad greens or spinach and started rinsing and making my own salads, and I've actually kept up with this one the entire year, even trying new kale salads. I am the 40%! 3. Prepare one new vegetable per week until you run out of them, and then add new favorites to your rotation. Fail. I don't know if I even made it two weeks on this one. I am the 77%. Maybe these results make me a typical American. In any case, I've noticed the latest trend for 2015 is dissing the diet. As in, giving up dieting, in favor of what these authors say is not dieting. 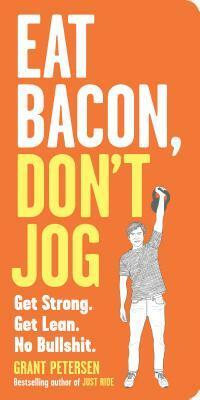 This book, for instance, tells us to lose the fad diets and hopes of fast weight-loss permanently. Instead, lose weight very gradually by tweaking your food habits. Drop the soda a day. Replace the afternoon bag of Doritos with a couple pieces of fruit. Will you lose 20 lbs in two weeks? Not a chance, but those two changes alone (if those were habits of yours) could net you 20-30 lbs in a year, and it would be permanent (unless you took up the habits again). Author Markey counsels against diets that require total elimination of any foods because, as I completely agree, those diets are unsustainable. She also advises against fasting or seriously limiting calories, lest your body go into starvation mode and pack the pounds on enthusiastically whenever you do start eating again. Sadly, though, she's still in favor of exercise for health (not necessarily weight loss) and bypassing the bread basket (one of my chief joys in restaurant life). But you can't have everything. Markey also disdains saturated animal fat from butter, red meat, whole dairy, and so on, which I think are now off the no-no list. 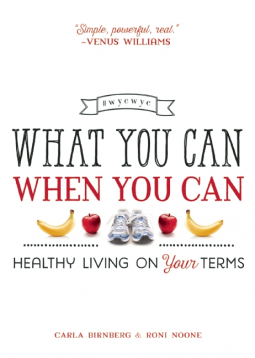 Nevertheless, not a bad book to start with, if you've tried diet after diet and yo-yoed your way through life. I think they wanted to start a social media movement about cutting yourself a break because there were instructions to connect with other "wycwycers" on the usual sites. Does the world really need more superficial connections? A question only you can answer. As for the advice given in the book, here's a sample: if you eat the triple chocolate cheesecake at the office party, skip dessert the next two days, and so forth. It may have gone deeper (and less obvious) than that, but I didn't hang around for it. My point being, the health trend for 2015 appears to be diet but don't call it dieting. Got it. With this in mind, it's time to set new resolutions for the year! Connect with me superficially online and join me for any of these? Or hit me up when the Market opens in May and see if I'm still among the 40% who keep on keeping on. 1. Keep Sugar-Free January and then shift to two desserts per week. 2. Walk 20-30 minutes 3x per week. Not for weight-loss purposes, but to keep ye old body fully operational longer. I turned 45 a few days ago! 3. Let's try this one again: Serve two vegetables at dinner or a fruit and a vegetable. I won't be picky about trying new things. I just want to get it on the table. Wishing you all a happy and healthy 2015!